Definitely a great color combo for a boy, Lisa, very fun card! Loveeeeeeeee this! LOVING the colors and the little flag!!!!!! Love this theme and it's perfect for a 12 y/o boy! 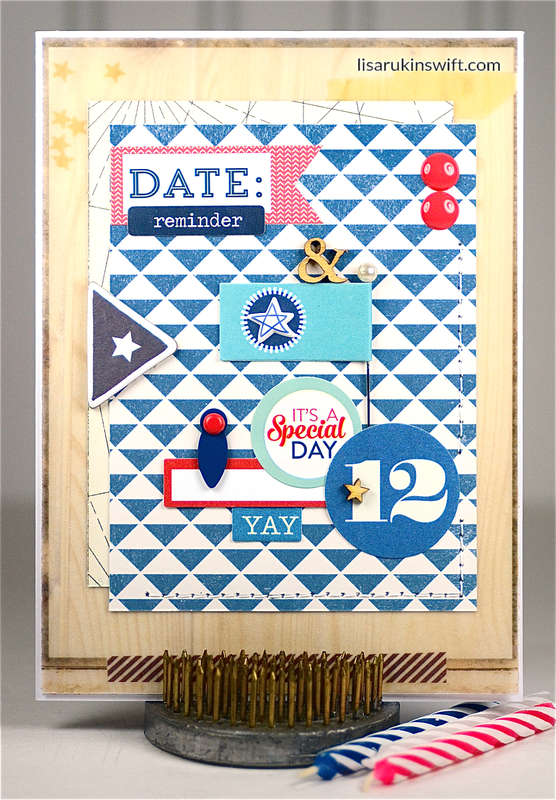 Such FABULOUS details on this card - love all the wood veneer, especially those little stars!! SO very impressed with the way you put things together!! Everything looks so perfectly placed!! So very cool! Love the wood - perfect touch. Love the nautical thing and how you used that cute pin flag!! I have recently been incorporating them on my projects! !